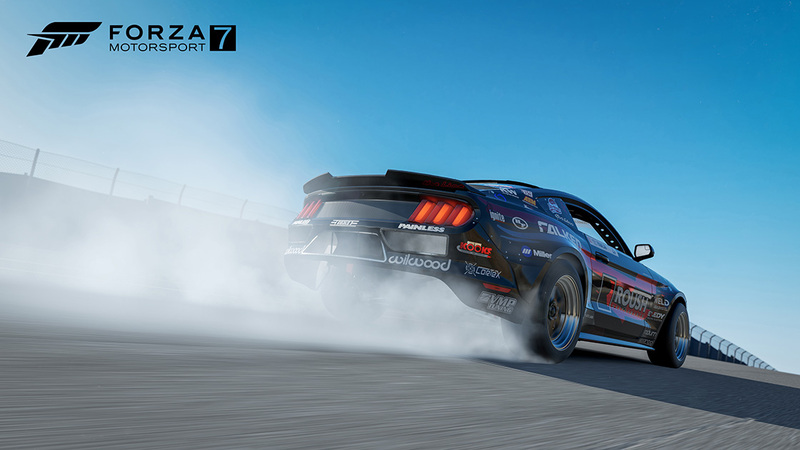 The October update for Forza Motorsport 7 is here! 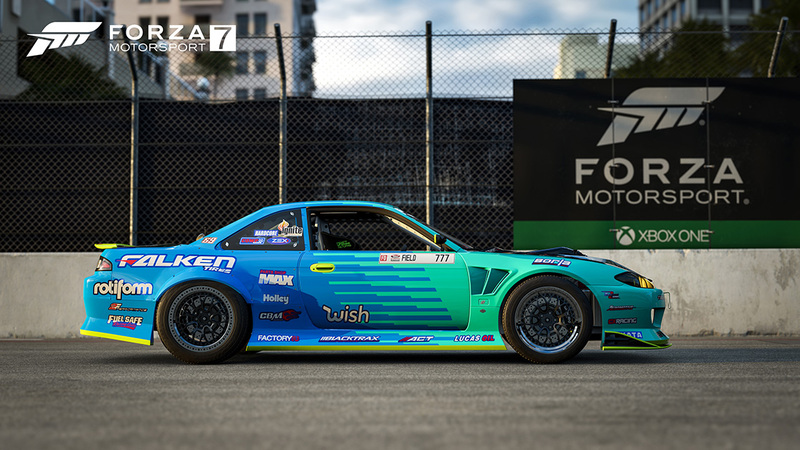 With this month’s update we’ve focused on numerous behind-the-scenes improvements to the game (see the Forza Forums for all the details), as well as setting the stage for some important updates to come in the near future. 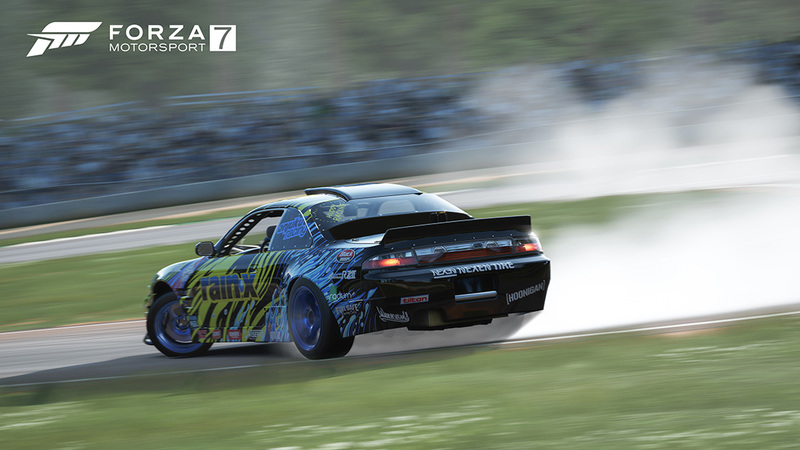 In addition, we’ve got a brand-new Spotlight Car arriving at no additional charge for all Forza Motorsport 7 players, as well as the launch of the Formula Drift Car Pack. One important change that Forza 7 players will notice in October is in-game messaging asking players to use any Forza 7 prize crates before the end of the month. As we said in our Forza Summer Update, prize crates are being removed from Forza Motorsport 7, and this will officially happen in November. Players will still have access to Driver Gear, badges, and Mod Cards but those items will not be available via prize crates starting next month. Look for more information on prize crate removal – and how players will still be able to access to Driver Gear, badges, and Mod Cards – next month. 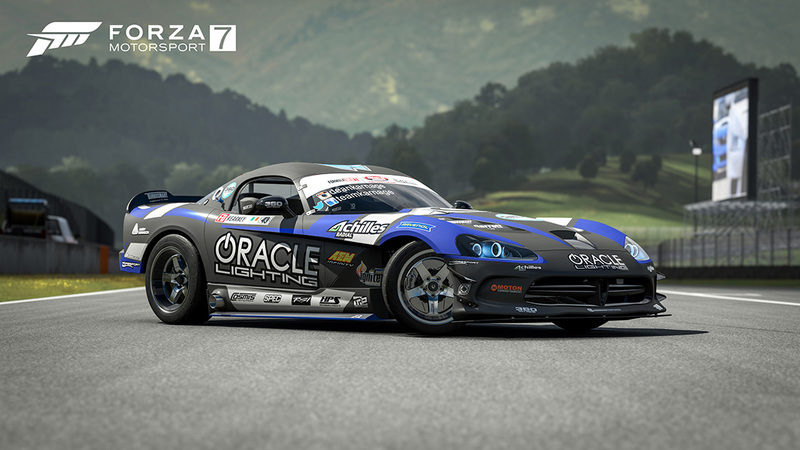 October also sees the launch of the Formula D Car Pack in Forza Motorsport 7. This pack is available for players who pre-ordered the digital version of Forza Horizon 4 and the cars are available in both Horizon 4 and in Forza Motorsport 7. 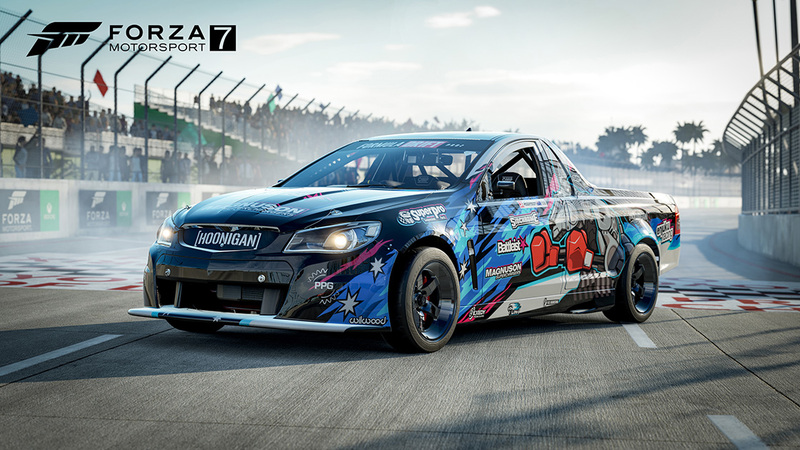 To celebrate the launch of the Formula Drift cars in Forza 7, we’re kicking off October with a new Bounty Hunter event beginning on Wednesday, October 3. For the first time ever, we’re holding an open-tuning Drift Bounty Hunter. 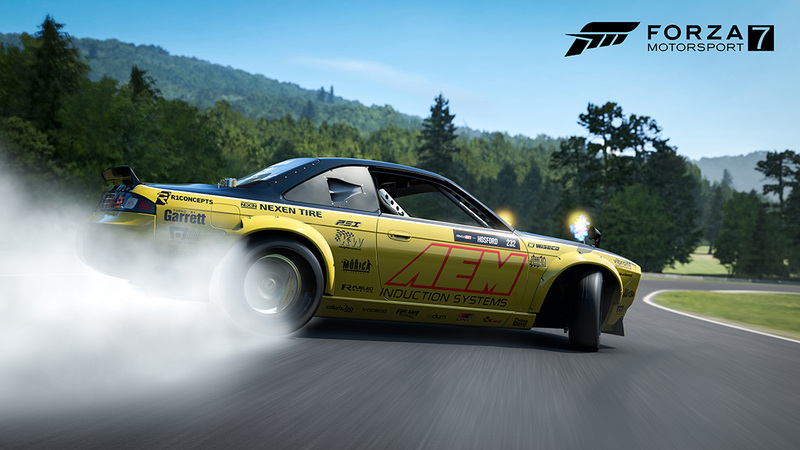 Players will be able to use any rear-wheel drive car in the game that they own and will be able to use any tune they wish. And your targets for the event? 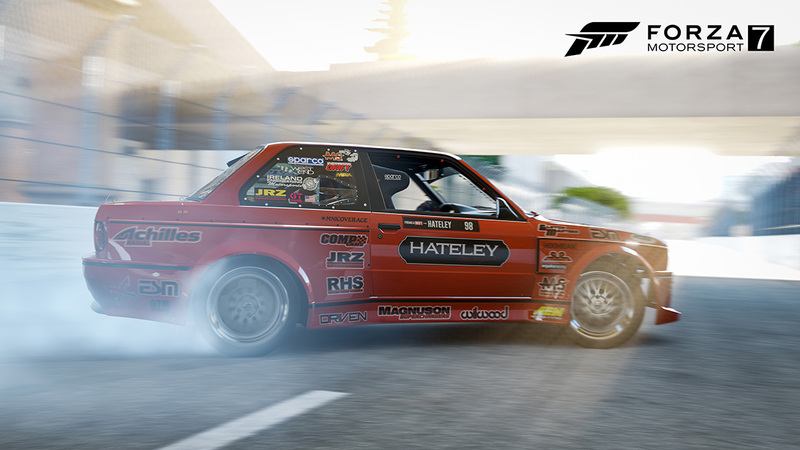 How about five Formula D drivers – Andy Hately (GT: Hateleydrift), Matt Field (GT: TheMattField777), Alec Hohnadell (GT: Hohnade118), Corey Hosford (GT: hossworth), Ryan Literal (GT: SD9K) and two Turn 10 developers known for their drifting skills in Devin Carraway (GT: SpaceLionDC) and Aaron Brooks (GT: Euro Nation). Get those Gamertags added to your Friends List now so you’ll know who you’re chasing as the event goes on. Also, be on the lookout for a new Rivals event celebrating the one-year anniversary of the release of Forza Motorsport 7; run a lap in the “Happy Birthday Forza Motorsport 7” event and you’ll earn yourself a cool 100,000 credits. The Merkur XR4Ti, sold by Lincoln and Mercury dealers in the mid to late 1980s, was a welcome anomaly in the American market; a risk undertaken by Ford Motor Company to introduce a car in the U.S. that you might otherwise only expect to see in Europe. To support the success of the production model, the #11 MAC Tools XR4Ti was built to compete in the IMSA and Trans-Am series. With top drivers like Scott Pruett, Pete Halsmer, and Lyn St. James behind the wheel, the racecar saw much success. This racer is, of course, a tube-frame chassis with a silhouette body that only mildly resembles the production model. However, the distinctive double-wing was the same design you could buy at your local dealer. The other big difference was the nearly 600 hp generated by the race-prepped V-8, more than double the power of the factory model. Also in October, we’ll have a special Merkur Rivals event starring the XR4Ti race car. 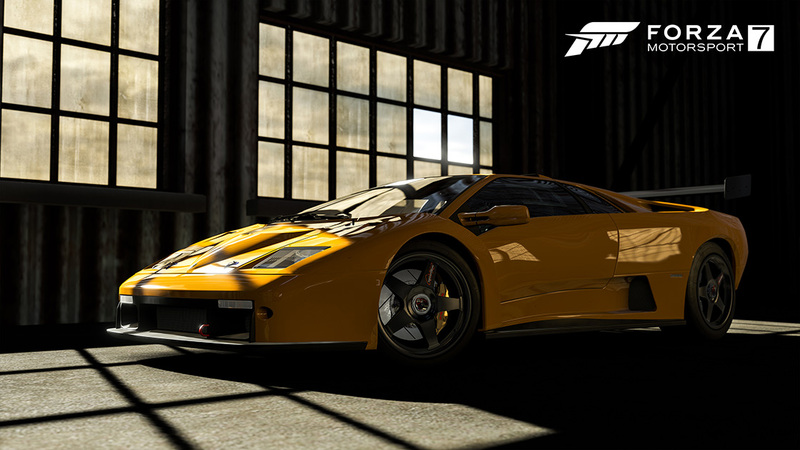 Everyone who sets a time in the game will receive a special exclusive car, the 1999 Lamborghini Diablo GTR! You can hear more about October update in more depth by tuning into our October edition of ‘Forza Monthly’, which will air on Wednesday, October 3 at 1 p.m. Pacific on the official Forza Twitch and Mixer channels. In addition to kicking off our October Drift Bounty Hunter event live on the show, we’ll be diving deep into Forza Motorsport 7’s October’s changes with the folks at Turn 10 and looking ahead at what’s to come for the rest of 2018. If that’s not enough, we’ll be celebrating the release of Forza Horizon 4, recapping the ForzaRC Series 2 Playoffs in Mexico City, and looking ahead to the ForzaRC World Championships in London. Don’t miss the show!